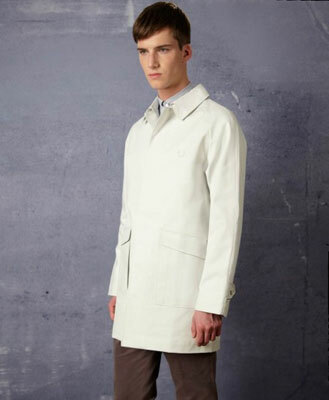 Not the cheapest thing on the Fred Perry site, but this Fred Perry Bonded Raincoat is one of the most eye-catching. The colour of this mid-length raincoat is described a porcelain, which is essentially another way of saying white. In terms of detailing, we’re talking concealed button fastenings running down the front, two deep envelope style pockets, a buckle adjuster on the back of the collar and buttoned cuffs. Part of the new Laurel Wreath collection, it sells for £275.